What is the difference between a modular and manufactured home? As you research the options to build your dream home, one of the first	questions you’ll have to answer is whether to buy a modular home,	a manufactured home or a site built home. Here at Modular Homes Austin,	we can help you build your ideal home without the steep price tag of a	site-built home. 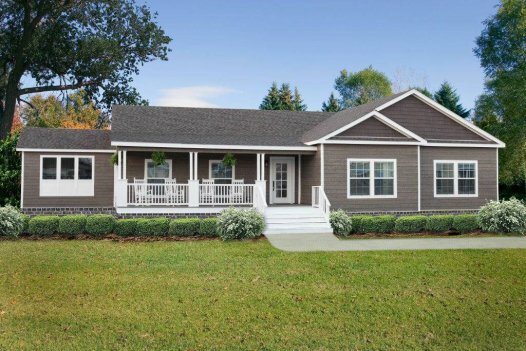 What’s the difference between modular homes and manufactured and	site-built homes? Modular homes are very similar to site built homes, but instead are built	off-site in a controlled environment. This means you don’t have	to deal with contractors and other companies on your land for months or	even rolling into a second year. Instead, we’ll work with you to	customize plans for the ideal size and style of your home. Our professional	craftsmen will build your customized dream home in an indoor factory setting. After construction, we will transport your home to your land site in modules	and our professional contractors install it on a permanent foundation. Modular homes are more affordable than site built homes and often must	adhere to stricter guidelines and building codes, so you get a polished,	finished product. On average, modular homes are 25% less than site built	homes without compromising quality. With modular homes, you get a high	quality home at a reasonable price. Modular homes are sometimes confused with manufactured homes, which are	also built off-site. The difference, however, is that manufactured homes	are required to have a permanent framework attached to the bottom of the	house to assure the continued ability to transport the house. Unlike manufactured	homes (also often incorrectly referred to as mobile homes), modular homes	are placed on a permanent foundation and cannot be moved after installation. Thanks to the shortened construction time, modular homes can be built at	a much lower cost than site built homes. For example, a contractor, say	plumbers, doesn’t have to make 4, 5, or 6 trips to the construction	site. They can do it all in one visit which reduces your cost and time	of construction. Here at Modular Homes Austin, we’ve helped hundreds of Texas residents	purchase and build their ideal homes over the past 60 years. We pride	ourselves on working with the highest-rated modular home manufacturers	to ensure you obtain a high quality home at an affordable price. Call us at (512) 385-9701 today to set up a modular home consultation with	one of our experts or to tour one of our floor plans!